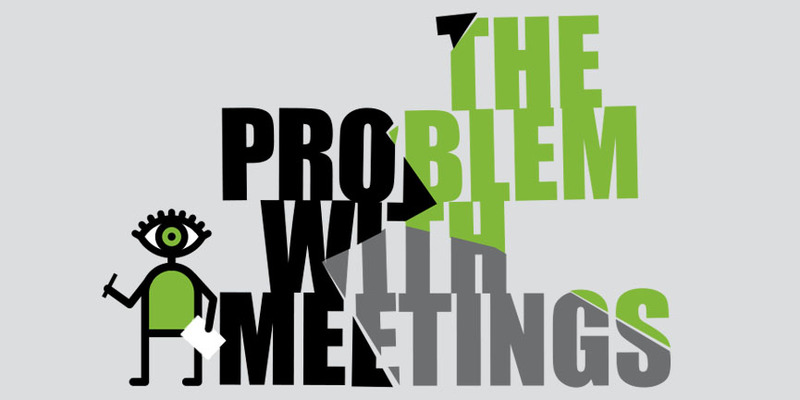 The Problem with Meetings... and the solution - ThoughtForm, Inc.
Are meetings the weakest point of your business? For most of us, meetings are unavoidable. Organizations hold more than three billion meetings annually. Executives spend 40–50% of their working hours in meetings. Yet, 90% of them admit to daydreaming during them. Why? It’s because so many meetings have simply become ineffective, disengaging, and a waste of time. At worst, meetings leave participants feeling drained, confused, and frustrated—bringing productivity to a crawl. But it doesn’t have to be that way. That’s why we wrote The Problem with Meetings. Over 35 years working with Fortune 500 companies we’ve cracked the code for making meetings productive and satisfying. The answer comes out of design practice and involves using visual thinking to transform the way meetings work. In our eBook, you’ll discover 22 meeting facilitation methods that we use to drive understanding and alignment in the world’s biggest companies. 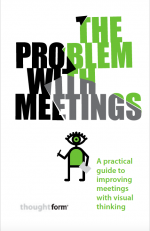 Get your copy of our practical guide to visual thinking for meetings.